Copper wire might seem old-fashioned now, but after a hundred-year run of it being the way to get telephone service, you can imagine why consumers are attached to it. But still, there are indeed many good reasons for upgrades to be taking place. There are good arguments to be made for explaining to anxious consumers how change can benefit them — but mocking them simply for wanting their needs met is not one of those. And yet mockery is the tactic that Verizon is taking with concerned customers in New Jersey, NJ.com reports. According to NJ.com, officials in South Jersey believe that Verizon is letting their copper network deteriorate intentionally, in order to replace it. But those officials believe that the alternatives Verizon proposes — fiber, as well as the Voice Link wireless service — are not necessarily good ones. Many towns in the area cannot get FiOS service, and so their officials believe that for now, maintaining the copper networks is the best solution for their residents. Roughly 50 communities in South Jersey have come together to push Verizon to keep the copper network running, NJ.com says. The communities in question don’t get good wireless service, don’t have good access to fiber, or just plain want to make sure their residents have the ability to reach emergency services even when the power goes out. The somewhat obscure telecom reference is to opposition that arose during the late 1950s and early 1960s as the standard format of telephone numbers changed. Where once upon a time you dialed the operator and asked for KLondike 5-3226, the all-digit dialing transition put everyone on the seven-digit phone numbers we all knew and kind of loved until 10-digit-dialing became the national norm at the turn of the century. The Anti-Digit Dialing League was among the largest of the opposition groups that formed to protest the move — fruitlessly, as it would turn out. And that was the Verizon spokesman’s point: that standing against change from Ma Bell — or its reconglomerated heirs, Verizon and AT&T — consigns one to the laughable dustbin of history. Given Verizon’s recent history in New Jersey and the surrounding area, though, it’s not hard to see why local residents might be concerned. Verizon has been trying to make the switch from copper wires to newer fiber or wireless systems for a few years now, but it’s been a very rocky road. Customers from New Jersey to Virginia have been on the receiving end of confusing threats to cut off their service seemingly out of the blue, and communications about not repairing damaged lines have been no better. Meanwhile, plans to replace copper with fiber cables have not fared universally well. 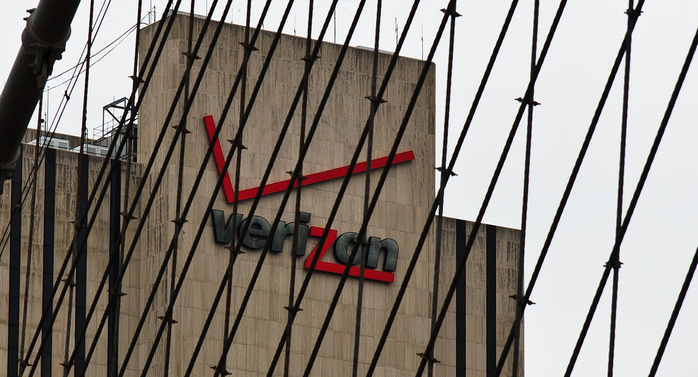 A union that represents 35,000 Verizon employees has repeatedly claimed that Verizon is just letting copper lines rot without proper maintenance or repair in order to force upgrades to fiber… while meanwhile, the City of New York claims Verizon did not finish their FiOS build as required, even though Verizon says they did. New York and New Jersey have also had wider-scale issues caused by Hurricane Sandy in 2012. The storm took out miles of copper wires in both states, and in some areas the landlines proved prohibitively expensive to repair. Verizon’s solution for those areas was Voice Link, a wireless system that proved not to work all that well actually. And on top of all that, last year Verizon successfully wormed out of a long-standing agreement to provide New Jersey with full fiber coverage, after successfully arguing that 4G mobile service was just as good. In the case of these towns, it’s not just about fear of new technology; it’s about justifiable fear of the present. Without fiber wires being run to certain areas, for many consumers their copper voice and DSL service is indeed far preferable to wireless alternatives. If Verizon were actually going to expand FiOS to cover the whole state, which they’re not, it might be a different story. It’s not yet clear what the next steps in New Jersey will be, NJ.com says. The cooperating towns may file a petition seeking an investigation into Verizon’s behavior, or they may end up seeking other legal options to make Verizon keep their service on.